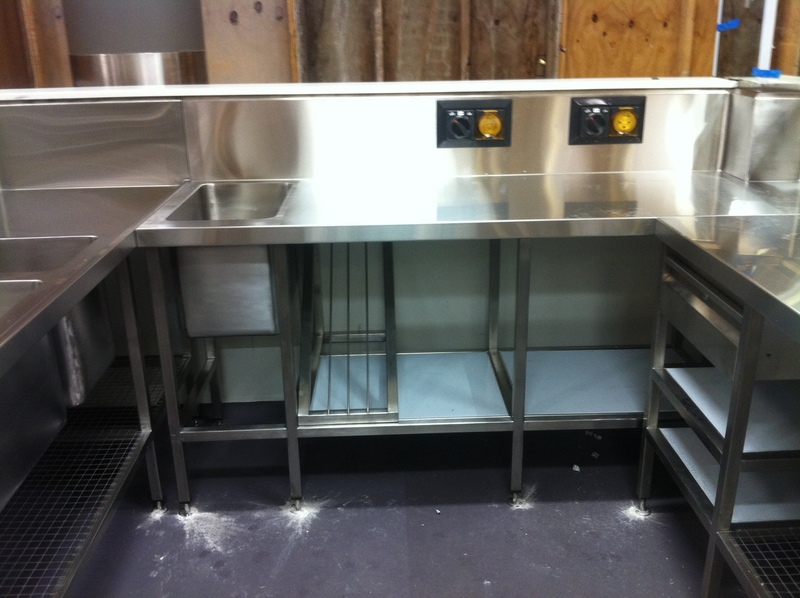 ControlFab is proud to supply a large range of stainless steel benchtops for numerous clients and applications. 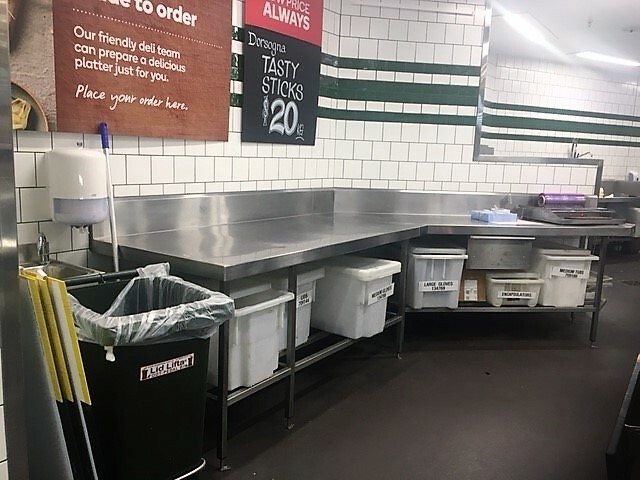 Whether you’re looking for stainless steel benches in Melbourne for a workshop, stainless steel benches with sinks for an office, or stainless steel kitchen benches for a commercial kitchen, you can rest assured that a durable and resistant bench manufactured by us is built to last. 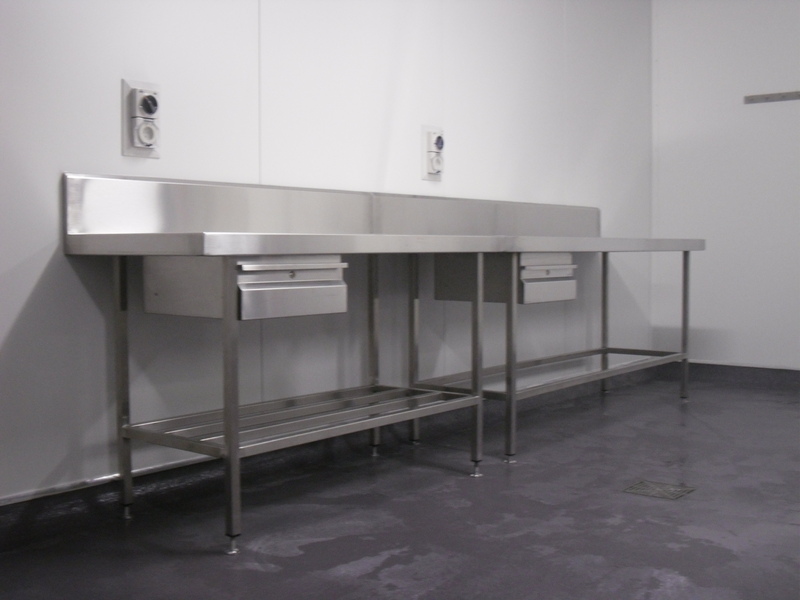 Highly durable and built to specific requirements, ControlFab manufactured benchtops are ideal for food processing and workbench environments. Whatever your needs are when it comes to quality manufactured stainless steel benches, we can customise a solution that fulfils your needs and exceeds your expectations. 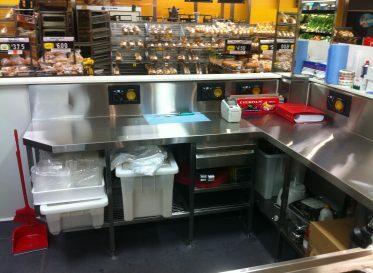 Our custom stainless steel benchtops are already used in various locations throughout Victoria and Australia. 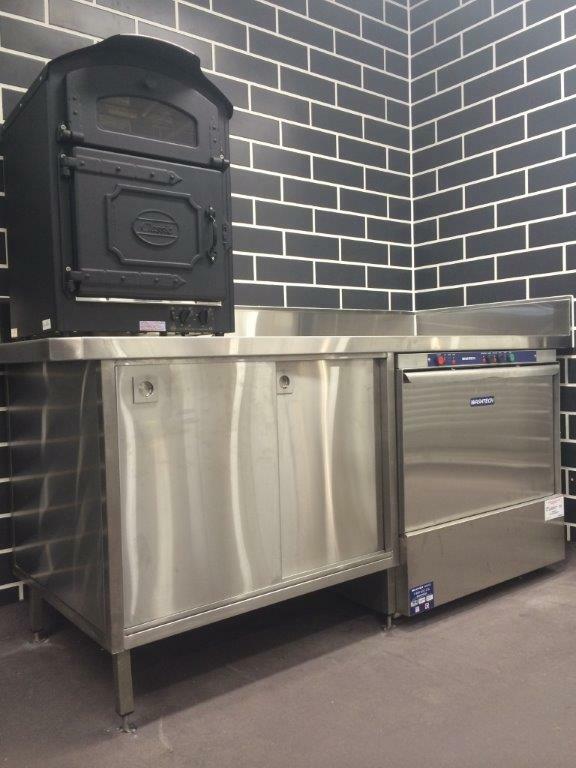 They are very popular and can be custom made in a range of shapes and sizes to suit varying needs. 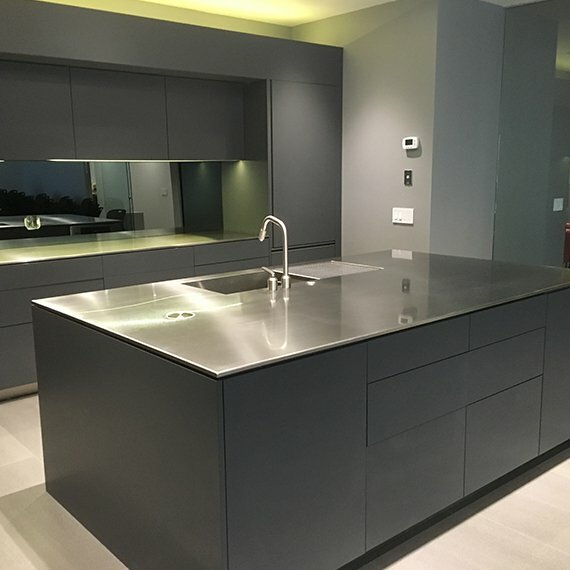 Choose from island work benches, work benches with splashbacks, corner benches with splashbacks, and single and double sink benches with splashbacks. 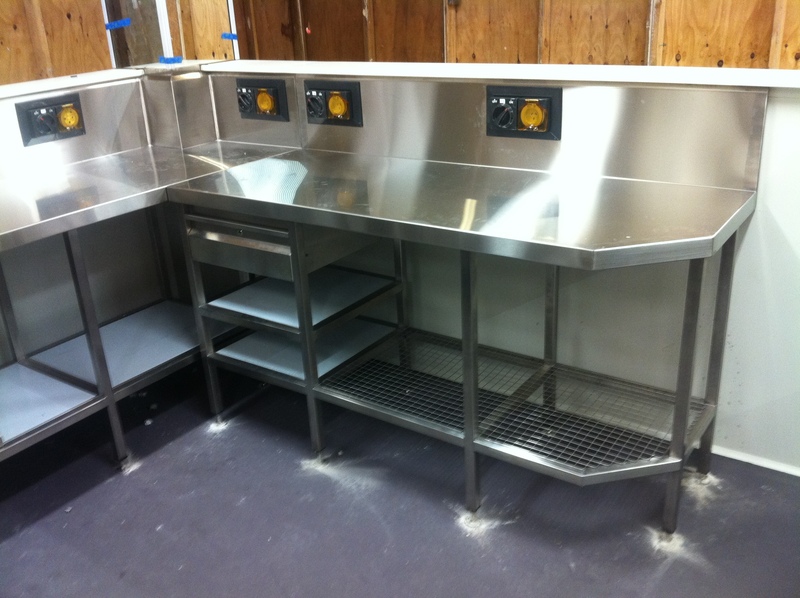 ControlFab has 20 years of industry experience in sheet metal fabrication solutions such as stainless steel benches. 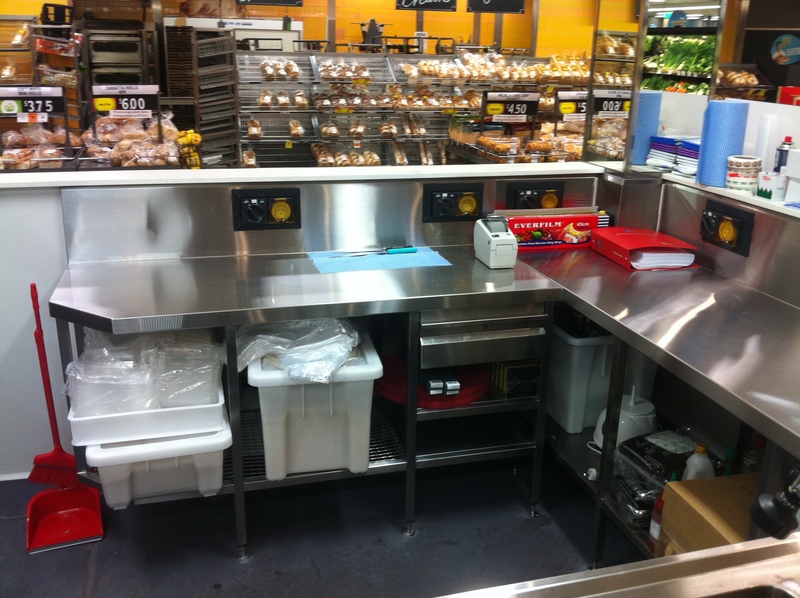 As a 100% Australian owned and operated company, we always meet the highest Australian standards when we manufacture our commercial stainless steel benches and other products. That’s why when you purchase a work bench from ControlFab, you can be sure it is cost-effective and built to last. 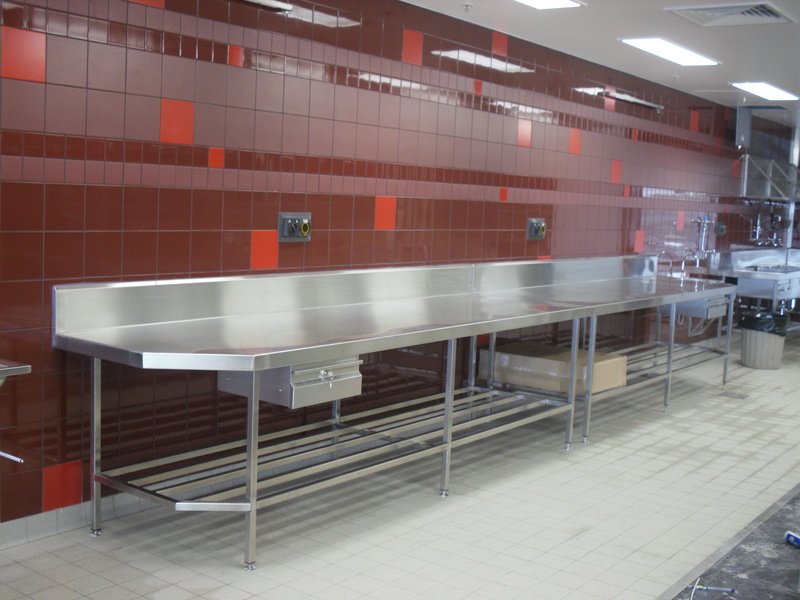 ControlFab also manufactures an extensive range of other custom metal products, including stainless steel grates, stainless steel sinks and stainless steel handrails. 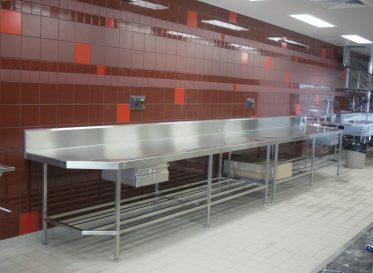 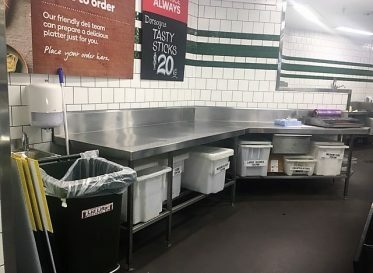 Whether you require stainless steel benches with sinks or steel handrails to ensure safety in the workplace, we can meet your needs with our high-quality solutions. 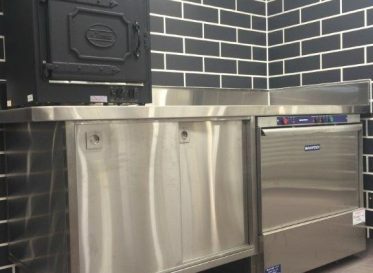 Call us today on (03) 9761 8248 for more information on our durable and resistant stainless steel benchtops, or contact ControlFab online to find out more about our plasma cutting, metal fabrication, metal cutting, sheet metal fabrication, steel cutting and stainless steel products. 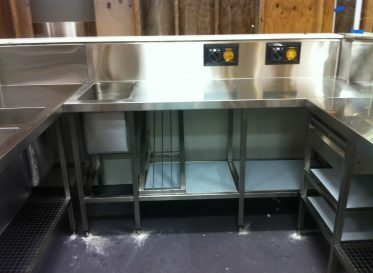 Our friendly team is more than happy to answer any questions you may have about our products and services.